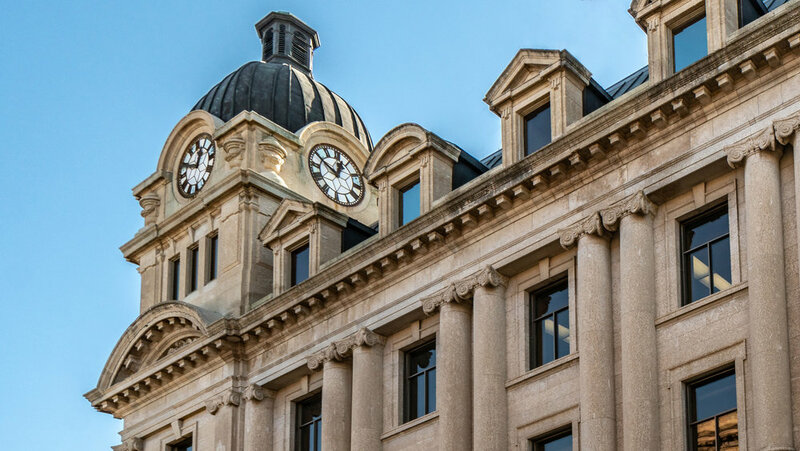 Hickory Dickory Dock, a Committee toured a clock, the clock said one but there was no sound so the issue ended up at Monday evening’s meeting of Moose Jaw City Council. In their report to Council the Heritage Advisory Committee reported on the condition of the bell in the clock tower at City Hall and to request funds be reallocated for its restoration. Appearing before Council, Scott Hellings chair of the Heritage Advisory Committee, said the Committee had been working on a proposal to make the bell in City Hall’s clock tower functional once again. The proposal to see the bell once again ringing in the Downtown came as a result of the Committee touring the bell tower. The bell has not rang since the early 1960’s. “Specifically we are looking at getting the bell operational and replace the clapper and replacing some structural bolts,” Hellings said in support of the proposal to spend up to $10,000 to get the bell ringing again. “I think we want to move forward on tangible projects like this so we were prepared to use the Heritage Reserve Fund but after some discussion we felt it was not the responsibility for the replacement of the bolts themselves. My understanding it is a safety issue and I don’t believe it should fall under the purview of the Heritage Advisory Committee,” Hellings said.“We are prepared to pay for the refurbishment of the bell but we would like the City to pay for the replacement of the bolts themselves. The refurbishment project was seen as historical and something the Downtown deserved to hear the results of he said. “We feel it is important to get the bell operational once again. It is a beautiful and instantly recognizable part of our Downtown and indeed the clock tower shows up on photos and branding related to our city,” Hellings said. In the discussion following Helling’s presentation Council spent time trying to decipher the two motions brought forward to vote on to determine if they chimed together or not. The bell request had not only to ring through a two separate motions but also over top of a second request by the committee as discussions on both issues were intermingled. Mayor Fraser Tolmie looked at the motions and recommendations for making the bell once again operational looking for it to ring through loud and clear. “There is a matter of process with regards the recommendations that are being brought forward or potentially for approval by Council. I have it written down and have it referred to the Parks and Recreation Department and below is a second motion that the $10,000 be allocated from the reserve account. If we are referring this we can’t pass the second motion,” Mayor Tolmie seemingly indicating he wanted to refer the matter. “Referring that would be better to do as the motion so that we can find out the total costing before Council approves $10,000 from the (Heritage) Reserve Account in my opinion as a matter of process,” he said. Councillor Brian Swanson showed his previous career as a teacher as he started to school Council on the appropriate use and context of the verb referred used in the motion. “We normally use referred when a motion is referred for further information. And it appears to me that this bell project, which has been working its way through the Heritage Advisory Committee for a significant amount of time, we are not talking about referring it for more information we are talking about referring it to the Parks and Rec Department so they can do the work,” Councillor Swanson stated. “The verb used may not be referred but dumped on the Parks and Rec Department. I think your (Mayor Tolmie) point about referral and not being able to discuss that describes a different use of the verb referred. And here this is more about are we going to let a project, that a committee took upon itself, and for some reason it reached the point they can’t complete it then it is just going to be made a responsibility of a City department,” Councillor Swanson said. Councillor Crystral Froese said the entire bell issue was in fact two separate issues. One was a safety issue and the other was getting the bell operational and ringing once again at City Hall. The issue was really two issue - one safety and one restoring the heritage value. “The bolts that hold the bell are the same age as the bell and because it is made out of different metals they are completely rusted. So this is a safety issue of actually having the bell hanging there from bolts that are rusted. That is why it is being referred back to Facilities to address this as a safety issue as opposed to being a City restoration,” Councillor Froese said. Councillor Froese spoke about the value of heritage. City manager Jim Puffalt agreed the safety needed to be looked at. “The safety of city hall is certainly an issue we need to address. If the bolts are rusted out the last (thing) we would like to see is the bell to come falling down through the building. So it is important Parks and Rec take a look at that,” Puffalt said. Responsibility for the maintenance of all City owned buildings belongs to the Parks and Recreation Department. “Council has final say putting an actual clapper into the bell,” he said. Councillor Heather Eby expressed concerns about the safety aspect. Councillor Swanson though expressed further concerns about the motion’s wording. “Safety is part of the building maintenance but when we decide to add for improvements on there when they might not be necessary I think we have to do that with the way we normally address these matters,”Councillor Swanson stated. Puffalt told Council hiring an expert would be necessary as the tight confines made it difficult and to assess the situation. Mayor Tolmie asked about hidden costs due to what a safety inspection might find and call for. Councillor Froese offered to remove the two words - “for improvements” - she tagged on to the end of the motion going on to ask if the motions were not approved by Council what would happen in relation to the safety aspects surrounding the bell? Puffalt responded that by legislation if it was a safety issue it was something Administration could not legally ignore and it would have to be looked at. “We need to get the final numbers figured out but we have an obligation under health and safety to correct any obvious safety issues and that is what we have go to do,” Puffalt said. In a 5 - 2 vote - with Councillors Swanson and Luhining opposed - the inspection of the bolts and potential repairs will be looked at. The second motion to approve spending $10,000 to get the bell operational once again received no seconders and it died before a vote could be taken.